Hey everyone. I have been lurking here a couple days and finally registered. I am a new Hobie Outback owner (my first kayak) and did my first mod to it yesterday and thought it might be something someone else might be able to use, or have some of the seasoned folks here tell me how I screwed up and why this isn't going to work well. I plan on using this yak mainly for fishing but will also use it for just playing around. I wanted a way to store my fishing gear out of the way when the fish weren't biting and I wanted to just paddle, pedal, or take a dip. 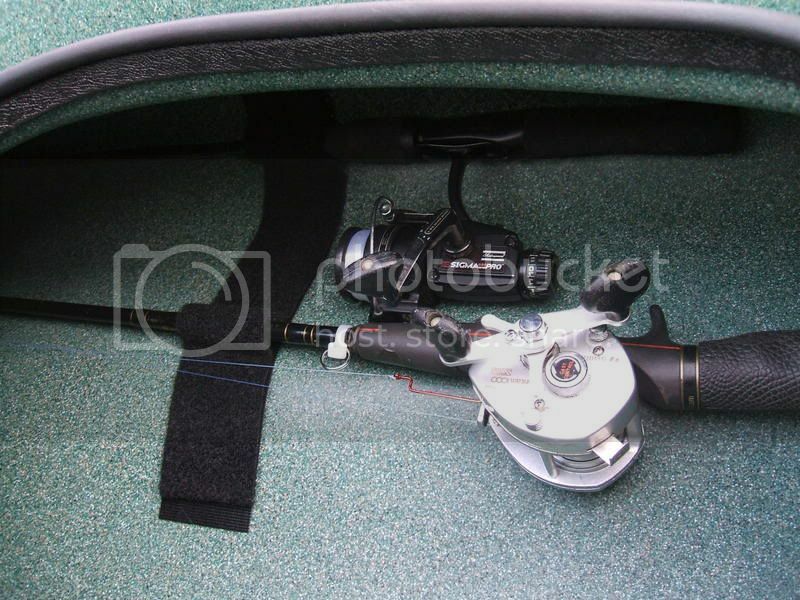 I also do not like my gear ratteling around and wanted to be able to secure my rods below deck when playing. I found this heavy duty adhesive backed Velcro at Home Depot. It comes about 2" wide and 4' long. I attached a piece (hook side) inside the hull on both sides. I then doubled the loop side, sticking it to itself, because I didn't have any other material for a back at home, leaving about a 1" "tab" at the end to attach it to the hull above the hook side just to keep it in place. 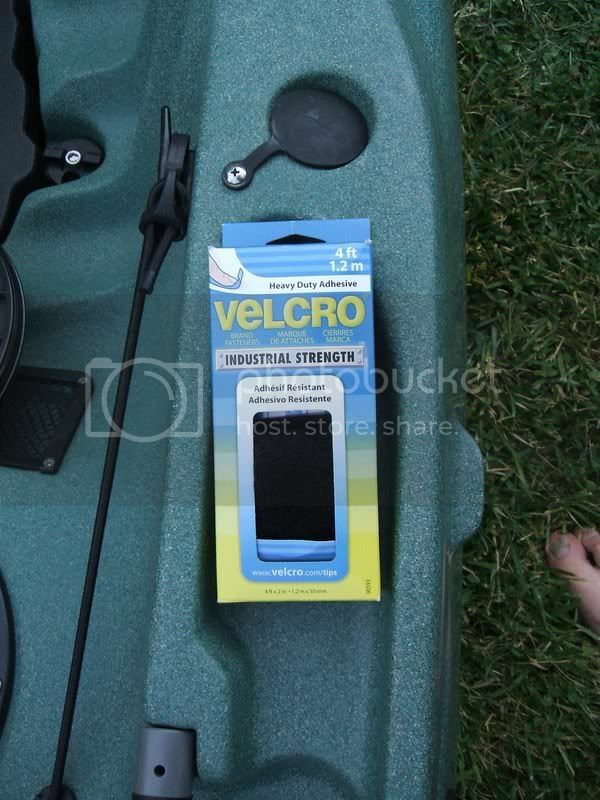 The rods now get Velcroed to the hull and stay put. Let me know what you think, good or bad. The first time I took it out was at a small lake in the local forestry. I caught a few small bluegills and a nice catfish that went about 3-4 lbs caught on an ultralight spinning outfit. I can use that under the center hatch of my Big Game. All men are created equal, Then some become Marines!